Access to decent broadband is more important than green open spaces, having a nearby local hospital or a bustling high street, according to a new study. Over 2,000 people responded to the Redrow survey, with over 98 per cent saying fast broadband was a key marker in building strong neighbourhoods. Those in rural areas (98.7 per cent) were even more sure than those in cities (97.1 per cent) that decent broadband was more important than having traditional facilities on their doorstep. 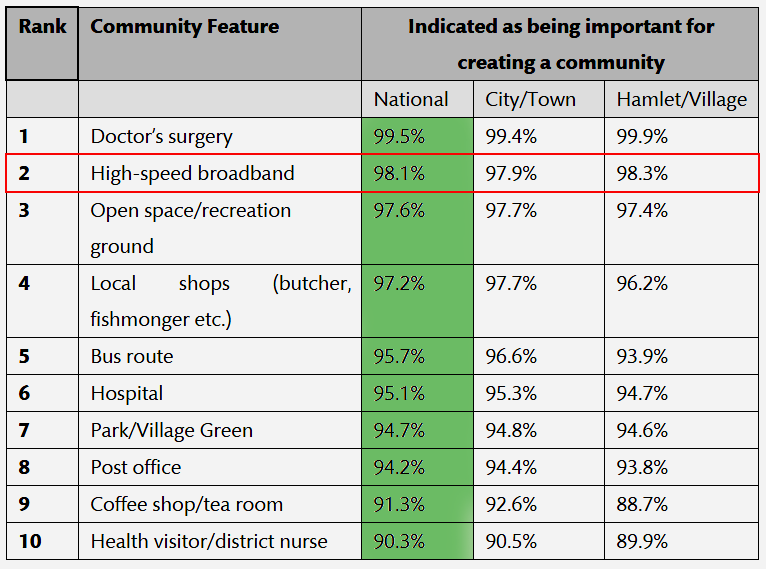 Broadband even beat access to decent public transport routes, and only local GP services were a more popular choice. This comes on the back of the Government’s housing White Paper which emphasised the importance of digital infrastructure and its promise to spread full fibre broadband across the country. 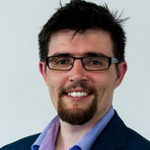 But Redrow’s ‘Creating Britain’s new communities’ study found eight out of ten people thought the government was not doing enough to build properly connected communities. Creating good quality virtual – rather than physical – meeting spaces are of greatest importance to families and house-buyers, the report found. Compare the 98 per cent who want high-speed broadband at their new home compared with a cinema or theatre nearby: just 60 and 53 per cent respectively. transportation network due to population growth, there will be increasing demand for people to be able to work remotely and from home and this requires world class digital infrastructure to be in place at all new communities. “As a country we have a poor track record at a global level of achieving excellent levels of broadband coverage. Guide: What if I can’t get fibre broadband near me? Giving communal working spaces, hot desks and shared offices are becoming more and more important to new communities given the fact that nearly one in three UK families now have two parents working full time. Openreach – who install broadband across the country and then lease the lines back to ISPs – have now promised to work with developers on projects larger than 30 homes to get them access to decent broadband. This massive project in Barking is installing 1Gbps full fibre for over 29,000 people, for example. 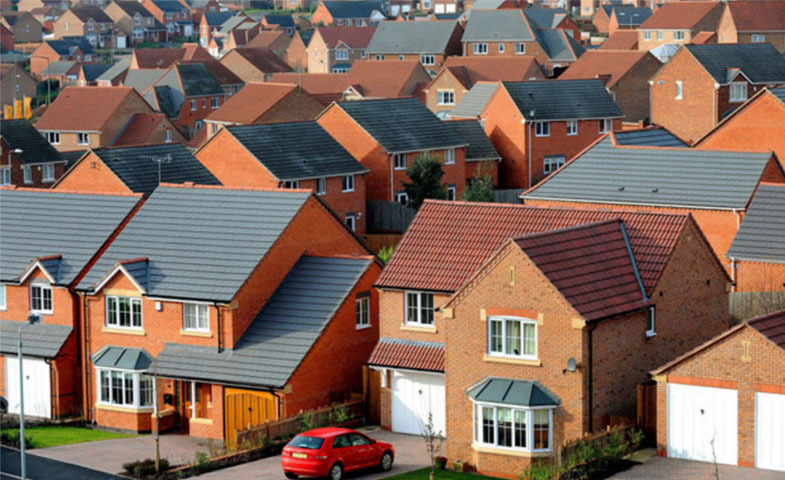 £5.6 billion is going towards building new homes across the country as the UK faces a massive shortfall. Recent reports suggest the UK needs on average 250,000 new homes a year for the rest of the decade.